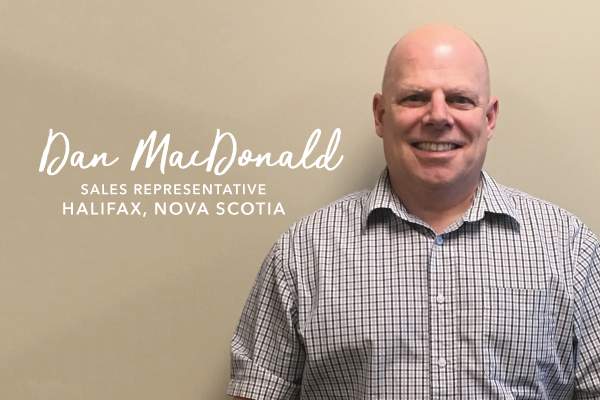 McFadden's Blog - Hardwood & Hardware Wholesaler: Staff Spotlight: June 2017: Dan MacDonald! Staff Spotlight: June 2017: Dan MacDonald! Dan McDonald is a sales representative in our Halifax, NS branch. He has been with McFadden's for 5 years now. What I have now !! Bald! What show on Netflix did you last binge? Hockey, is that a sport or politics? I'd go crazy listening to the same song! What is a recent book that you have enjoyed? They still make those things? Staff Spotlight: June 2017: Mary Kate Harbinson!